CAMILLA, GA (WALB) - Two people accused of killing a Pelham man appeared before a judge Thursday. 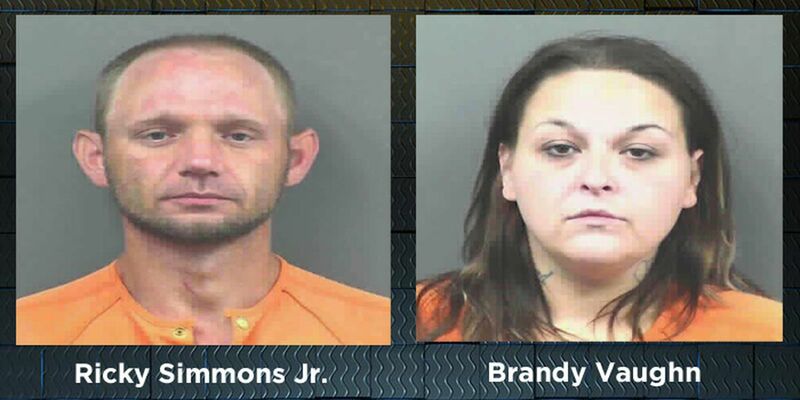 Ricky Simmons Jr., 34, and Brandy Vaughn, 29, both face murder charges. They are accused of killing Wayne Smith, 58, in Pelham back in March. Simmons, who was clearly emotional during the hearing, was arrested after a manhunt early Wednesday morning. Officers said they found meth on Vaughn, when they arrested her hours before Simmons. Both will have to appear before a superior court judge at a later date for a bond hearing. On Wednesday, Assistant Pelham Police Chief Rod Williams said officers were attempting to locate evidence in Thomasville in connection to Smith’s death, but didn’t discover anything.